According to the NIH, 65% of people around the world – that’s 30 to 50 million people in the United States alone – have a hard time digesting lactose beyond infancy. [2, 3] Some people also have a true allergy to the proteins in milk, including the protein casein. 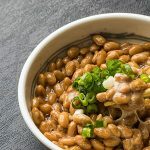 While some people will use the terms allergy, sensitivity, and intolerance interchangeably, allergy and lactose intolerance are quite different. An allergy is when the body’s immune system sees a substance - milk protein in this case - as a foreign invader, or allergen, and then the body produces antibodies in response. The allergic reaction can range from mild — itching, red skin — to severe, causing an inability to breathe due to swelling in the throat, or even anaphylactic shock. Fortunately, there are far fewer milk allergies compared with lactose-intolerance – 2-3% of the population in the developed world, though that still makes it the most common food allergy among kids. 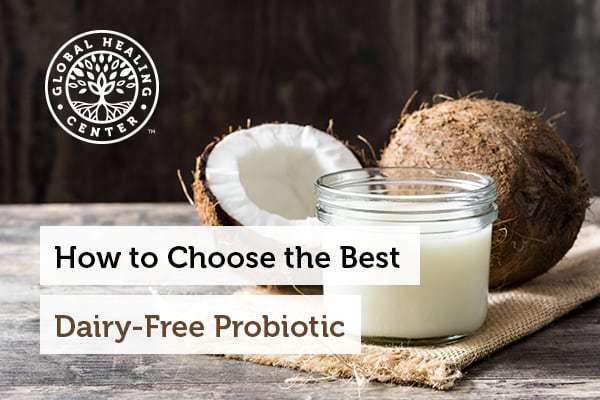 Do you use dairy-free probiotics? What are your reasons? How have they worked for you? We’d love to hear from you. Tell us your story in the comments section below. Ritter Pharmaceuticals. "Survey: 75% of People With Lactose Intolerance Avoid Dairy Foods." marketwired.com., 30 Jan. 2013. Accessed 1 Mar. 2018. "Lactose intolerance: information for healthcare providers." U.S. Department of Health and Human Services, National Institutes of Health. nih.gov. 2006. Accessed 1 Mar. 2018. "Lactose Intolerance by Ethnicity and Region." procon.org. Accessed 1 Mar. 2018. Benson AK, et al. "Individuality in gut microbiota composition is a complex polygenic trait shaped by multiple environmental and host genetic factors." Proc Natl Acad Sci USA. 2010;107(44), 18933-18938. Accessed 1 Mar. 2018. Marques TM, et al. "Programming infant gut microbiota: influence of dietary and environmental factors." Curr Opin Biotechnol. 2010; 21(2), 149-156. Accessed 1 Mar. 2018. Chassaing B, et al. "Dietary emulsifiers impact the mouse gut microbiota promoting colitis and metabolic syndrome." Nature. 2015;519(7541), 92-6. Accessed 1 Mar. 2018. Perez-Cobas AE, et al. "Gut microbiota disturbance during antibiotic therapy: a multi-omic approach." Gut, 2013;62, 1591-1601. Accessed 1 Mar. 2018. Ley RE, et al. "Microbial ecology: Human gut microbes associated with obesity." Nature. 2006; 444(7122), 1022–1023. Accessed 1 Mar. 2018. Round JL, Mazmanian SK. "The gut microbiota shapes intestinal immune responses during health and disease." Nat Rev Immunol. 2009;9(5), 313–323. Accessed 1 Mar. 2018. Allen AP, et al. "A psychology of the human brain–gut–microbiome axis." Soc Personal Psychol Compass. 2017;11(4), e12309. Hadhazy A. "Think twice: how the gut's ‘second brain’ influences mood and well-being." Scientific American. 12 Feb. 2010. Accessed 1 Mar. 2018. Khalesi S, et al. "Effect of probiotics on blood pressure." Hypertension. 2014;64(4), 897-903. Accessed 21 Jan. 2018. Tang W, et al. "Intestinal microbial metabolism of phosphatidylcholine and cardiovascular risk." N Engl J Med. 2013; 368(17), 1575-1584. Accessed 21 Jan. 2018. Omar J, et al. "Lactobacillus fermentum and lactobacillus amylovorus as probiotics alter body adiposity and gut microflora in healthy persons." J Funct Foods. 2013; 5(1), 116-123. Accessed 21 Jan. 2018. Dennis-Wall J, et al. "Probiotics (Lactobacillus gasseri KS-13, Bifidobacterium bifidum G9-1, and Bifidobacterium longum MM-2) improve rhinoconjunctivitis-specific quality of life in individuals with seasonal allergies: a double-blind, placebo-controlled, randomized trial." The American Journal of Clinical Nutrition. 2017; 105(3), 758-767. Accessed 21 Jan. 2018. Pelucchi C, et al. "Probiotics supplementation during pregnancy or infancy for the prevention of atopic dermatitis: a meta-analysis." Epidemiology 2012;23(3), 402-14. Accessed 21 Jan. 2018. Wallace C, et al. 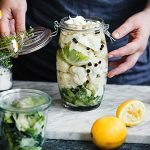 "The effects of probiotics on depressive symptoms in humans: a systematic review." Annals of General Psychiatry. 2017;16, 14. Accessed 21 Jan. 2018. Hilimire M, et al. 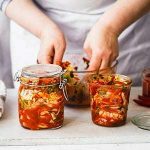 "Fermented foods, neuroticism, and social anxiety: An interaction model." Psychiatry Research. 2015;228(2), 203–208. Accessed 21 Jan. 2018. Rodrigues KL, et al. 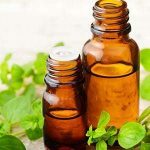 "Antimicrobial and healing activity of kefir and kefiran extract." J Antimicrob Agents. 2005;25(5), 404-408. Chen YP, et al. "Lactobacillus kefiranofaciens M1 isolated from milk kefir grains ameliorates experimental colitis in vitro and in vivo." J Dairy Sci. 2012;95(1), 63-74.